ALCOHOL MAY BE ADDICTIVE. ALCOHOL INTOXICATION IMPAIRS ALERTNESS, COORDINATION, JUDGMENT, AND MEMORY. ALCOHOL ABUSE CAN CAUSE LIVER AND PANCREATIC DISEASES. HEAVY ALCOHOL USE MAY INCREASE BLOOD PRESSURE AND CAUSE HYPERTENSION. HEAVY ALCOHOL USE INCREASES THE RISK OF CERTAIN CANCERS INCLUDING BREAST, LIVER, ESOPHAGEAL AND COLON CANCERS. RAPID WITHDRAWAL FROM HEAVY ALCOHOL USE MAY BE LIFE-THREATENING. LONG TERM ALCOHOL ABUSE MAY CAUSE DEMENTIA. CONSULT YOUR PHYSICIAN BEFORE COMBINING ALCOHOL WITH ANY MEDICATION. 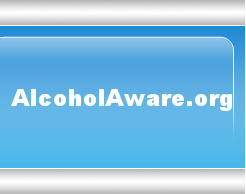 Promote public awareness of adverse health effects from alcohol abuse. Improve warning labels on all alcoholic beverages. Encourage alcohol producers to disclose potential adverse health effects when advertising their products. Promote a ban on the advertising of alcoholic products on television and radio. ALCOHOL ADDICTION: America's #1 drug problem! 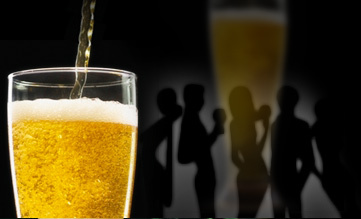 ALCOHOL ABUSE: one of the leading causes of death and injury in young adults. "approximately 75,766 alcohol-attributable deaths" in 2001. MMWR 2004;53:866-870. "the leading causes of death in 2000 were tobacco, poor diet and physical inactivity, and alcohol consumption (85,000 deaths)". JAMA 2004; 291:1238-45.
consumption to less than 2 or 3 drinks per week. Do not consume alcohol if you have alcohol or drug addiction.